You make a difference! Please consider donating your time to support the many conservation efforts underway by the Western Slope Conservation Center. Volunteer at the WSCC! Whether you are interested in our monthly water-quality monitoring program, our Paonia River Park work days, want to review BLM or Forest Service proposals for environmental concerns, or if you think you have a particular skill that might be useful, we want to hear from you. From bulldozer operators to office workers, we are always in need of help from people in the community. To learn about volunteer opportunities, please call us at 970.527.5307, email info@theconservationcenter.org or fill out the form below. We are always working to improve the Paonia River Park through community work days and ongoing projects. No effort is too small to keep the River Park a shining community resource! 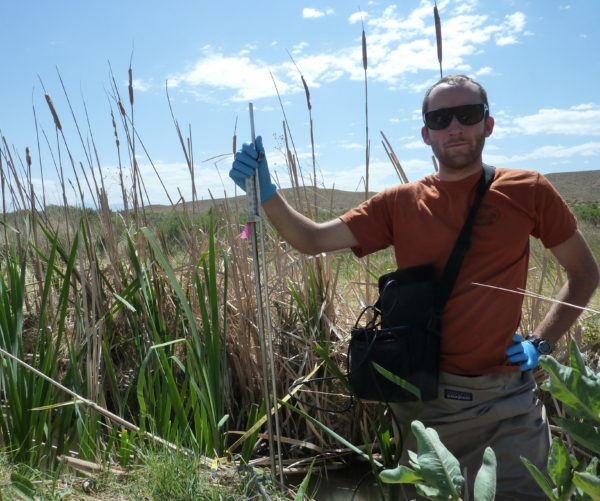 Join our dedicated team of water quality monitoring volunteers. On every second Wednesday of every month, year round, volunteers meet together in Hotchkiss before dispersing throughout the North Fork Valley to the take water samples that have provided a baseline monitoring of our watershed for over a decade. With varying levels of experience, our volunteers are some of the most fun and dedicated citizen scientists around! Each year in the spring time we always need volunteers for Conservation Days (teach children all about the conservation!) and we also need volunteers for our Annual Float and Festival, always a good time, especially if you’re volunteering!